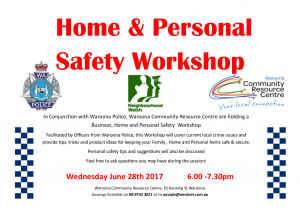 The Waroona Community Resource Centre will be holding some basic computer training sessions. Please see the attached flyer for details. Funding for this service was withdrawn by the government but has been reinstated for one year. The full story is at http://www.mandurahmail.com.au/story/4745516/stay-of-execution-for-mobile-health-van/?cs=289. Lake Clifton is not serviced directly but if you need their help you can probably go to Waroona when it is there. With recent issues in our area this workshop may be worth attending. Members of the Residents Association are planning to attend and will pass on any information they think is important.